Click here to register a domain name. Click here to create your own website. Domains are literally the real estate of the Internet. When you own a domain, you own a piece of Internet real estate. Some real-world real estate is worth millions of dollars, while other lots are worth almost nothing. The same is true for Internet real estate. 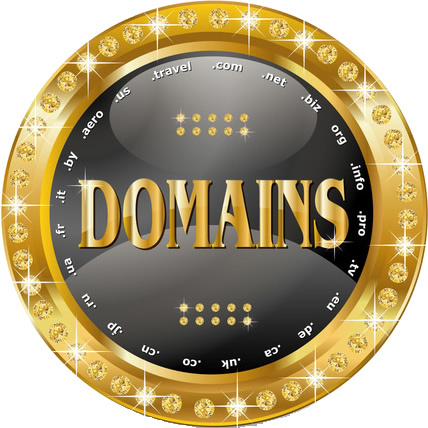 Everyone wants a prime piece of Internet real estate, a great domain, but the best lots, the best domains, are very small in number. Everyone wants to build their website on a great piece of real estate, everyone wants to have the best location for their presence on the worldwide web, but that is not possible, as you may have discovered. Homes are worth far more than the property taxes we pay on them every year. 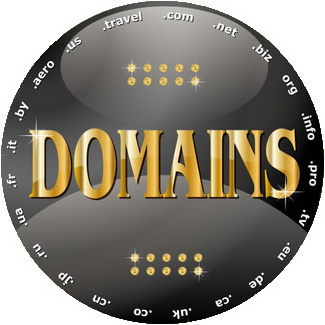 Likewise, superior domains are worth far more than the nominal $10 to $20 yearly registration and renewal fee. Many people are unaware that there is a very active domain name "secondary market," where domain names are bought and sold, and is where people now go to acquire a superior domain name. We estimate that at least 98 percent of all domain sales are private and are never reported to the world at large, so no list can ever be complete and comprehensive. However, this page does offer a window, albeit very small, into a very large, powerful, and vibrant domain market. We cannot guarantee the accuracy of these sales figures, but we gathered the reports from reliable sources inside the domain industry, and believe them to be correct at the time of this posting. If you see any errors, please let us know. Some of the prices have been rounded. The following is a small sampling of domain sales that have occurred over the past few years for $1 million and above. Most domain sales are below $1 million, and here is just a very small sample of such sales over the past few years.